Tottenham's move into their new stadium at White Hart Lane has been pushed back to late October at the earliest after encountering "issues with the critical safety systems", the club has confirmed. Spurs had initially planned to play at the new ground for the first time on September 15 against Liverpool, an announcement made after the release of the 2018-19 Premier League fixtures. 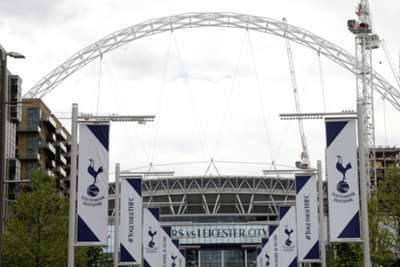 But reports began to swirl on Monday claiming Spurs had been forced to delay their move, meaning a return to Wembley was likely. And the club eventually confirmed that, after recent tests carried out on the stadium, they have had to review the situation and accept a later move. Therefore, their home Premier League matches against Liverpool and Cardiff City – the latter on October 6 – will have to be played at Wembley. Spurs played all of their home games at England's national stadium last term, as their new stadium was built at the location of their previous White Hart Lane home. They remain hopeful of being able to host Manchester City in their new home on October 28, but cannot confirm yet where that match will be played.